New Year is a time to celebrate, and what better way to reflect on the year past and ring in the New Year than with festive revelry on board a private train? 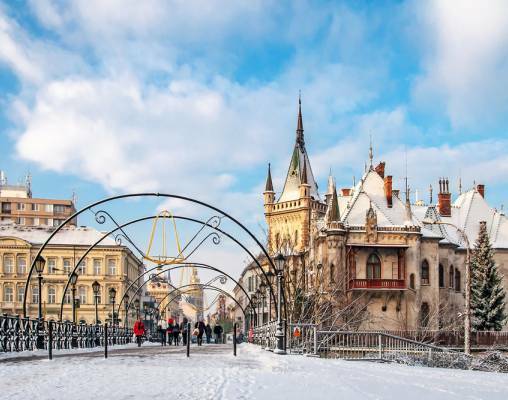 Our New Year departure through the heart of Central Europe on the Golden Eagle Danube Express offers a sociable group atmosphere combined with sumptuous gala dinners, opera, dancing, fireworks and exclusive regional celebrations that you will forever remember. On arrivals day in Budapest, you will be met and transferred to the Four Seasons Hotel Gresham Palace for a two-night stay. Enjoy a welcome reception dinner in the elegant surrounds of this art nouveau landmark where you can meet your fellow travelers on this highly anticipated celebratory journey over the New Year holidays. 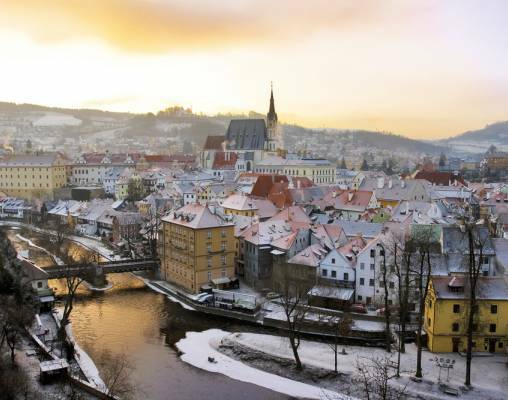 Arriving into Austria this morning we begin our exploration of the fantastic city of Graz at the foot of the Austrian Alps. 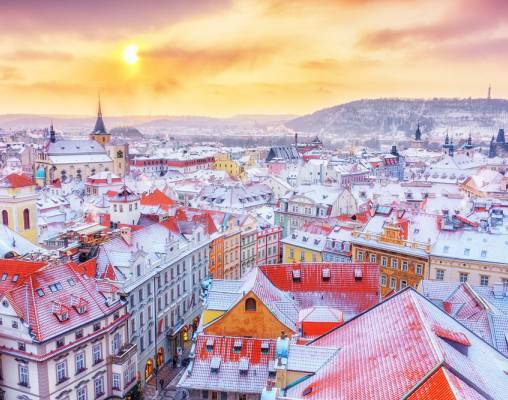 We will transfer by coach to the city center and have a short walking tour of Graz’s range of renaissance courtyards and provincial baroque palaces. After you can choose to take free time or enjoy a pumpkin seed oil tasting, complete with traditional, locally made bread and wine. 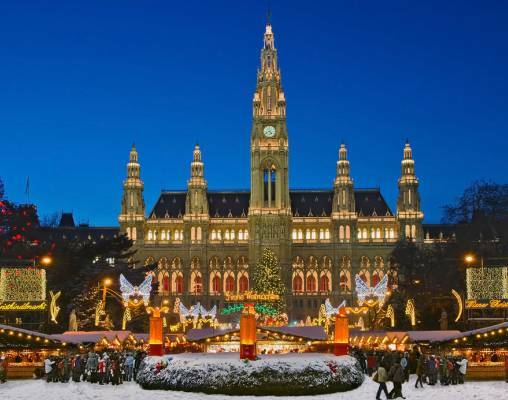 If you’d rather see more of the splendid Austrian countryside, you will have the option to visit the delightful Schönbrunn Palace to see the city’s famous festive market which will be still be open to enjoy. Alternatively, you may wish to explore the monastery of Heiligenkreuz with us for a guided tour of its 12th Century grounds. 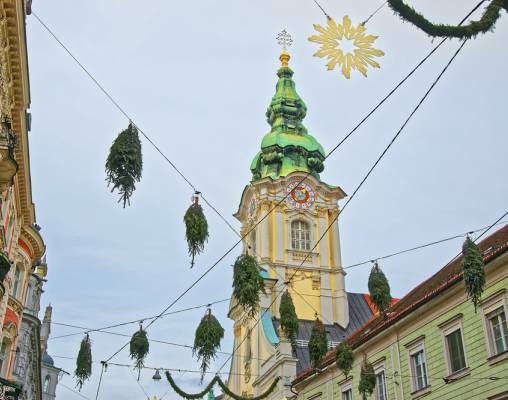 You’ll also be able to hear the Stift Heiligenkreuz monks sing in unison for a very special and moving performance. 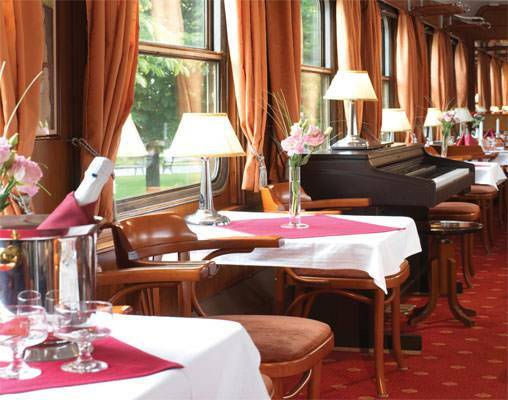 Superior Deluxe cabins, with private en-suite facilities, offer the ultimate in European rail accommodation regarding space, facilities, and comfort. Limited to just 4 cabins per departure, each cabin offers comfortable daytime seating with a full-length sofa and two additional chairs. The large cabin also benefits from two full-size picture windows, one of which is openable to add to the bright and airy feel of the interior. Each evening the cabin is transformed into a luxurious bedroom with a UK-standard King Size bed. All cabins have, as standard, a large double wardrobe with excellent storage space, individually controlled air-conditioning, lighting with dimmer switches, individual reading lights, in-cabin Wi-Fi and USB ports, power sockets and a safe. 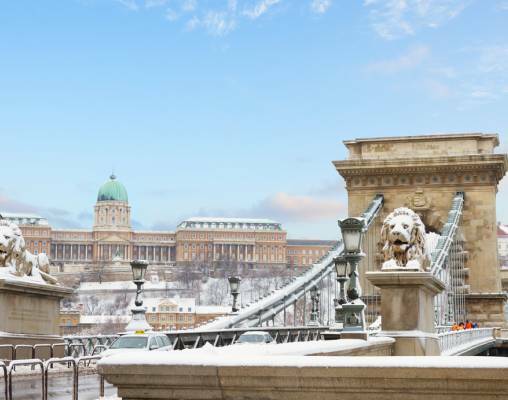 Enter your details below if you would like to be notified when 2020 dates and prices are available for The Golden Eagle Danube Express - New Year in Vienna.